Perspective | English GEC's facing fragmented audience base issue? In the constantly growing television space, almost every genre is trying to gain its share of viewer’s pie. Broadcasters across categories have upped the ante to be the top seated player in the genre – be it Hindi GEC’s and Movie channels, English GEC’s and Movie channels, Lifestyle and Knowledge channels, Kids other channels. Strategies right from interesting content creation and acquisition to marketing and promotions, channel custodians are putting their best foot forward to not only attract viewers, but retain them as well. A look at the English GEC space and one may find numerous similarities, specifically on the content front. While international shows are being brought to Indian television homes by English channels, one can, however, notice overlapping content on various channels in the genre as shows travel from one channel to another over a period of time. This, experts say may be a hindrance for channels in the genre to collect the fragmented viewer base and develop a loyal viewer-base, as television audiences / viewers may tend to be more content-loyal than broadcaster-loyal. In this edition of Adgully Perspective, we talk to industry experts across sectors, to know their take on the same. 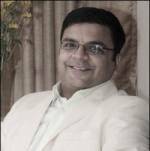 Our panellist include, Saurabh Yagnik - English Cluster Head MSM Pvt. Ltd, Shantanu Gangane, Marketing Head – English Entertainment Channels – TTN, Shailesh Kapoor, CEO-Ormax Media and Kevin Vaz - Business Head - English Channels, Star India. We asked them - Do shows (content) that travel from one channel to another impact the broadcasters viewer-base negatively, thus posing the problem of fragmented audience-base? Sharing his thoughts on the same, Yagnik said, “Association of a show with a channel is the most ideal association. It helps in building a discernible channel identity and also, channels as a consequence will want to invest in building such shows. In case shows move from one channel to the other, it will in the long term impact the equity of channels and even channels will take an opportunistic view of such content/ shows”. Kapoor is a firm believer that English GEC’s do not have a very loyal viewer base, as the audience is primarily driven by their preference for specific programs and not for particular channels. “However, a channel can build a loyal viewer base by offering consistency in its content, e.g. Star World is high on drama genre, AXN on action-adventure and Comedy Central on humor. Shows changing channels is a norm and even viewers are now used to it”, he stated. Gangane however, doesn’t think so! “Each channel will showcase content that works, which leads to an understanding that certain amount of research is taken into account. At Romedy NOW for example, the content is very much in sync with the channel’s core proposition of ‘Love. Laugh. Live.’ and the series that are telecast are gaining popularity. Certainly, there is a wide choice for the consumer today with multiple channels showcasing almost similar content, however promotion brings out the relevant differentiation and makes it relatable to the consumer”. Echoing similar opinions, Vaz believes that with viewers getting global, it is the latest offering that will drive them to the destination- the channel. “While there are multiple players in the business currently, what makes the difference is the ‘freshness’ of the content. While there is some other player offering first season of a particular show, we at Star World would have the latest one, making it the go-to destination for many viewers. Hence it is important that ‘new’ and ‘fresh’ stand out as essential elements in your offering”. We also learnt that shows that are and tend to become cult favorites are the best bets a broadcaster can have as against risking on new fiction content. Sharing his take on the same, Gangane said, “While popular series will definitely have their fan-following, there is surely a lack of extensive English programming content that our viewers are exposed to in comparison to other countries. This has led to immense scope for fresh programming content that can be introduced to consumers here. Romedy NOW has introduced brand new series along with some old favourites that have been well received and are performing well. No doubt, there is a familiarity and recognition for the old shows, but there is always scope to introduce new content to our consumers”. Yagnik is of the opinion that programming on these principles would be a very safe way of doing things. However, he believes that it would come in the way of building newer shows and will also result in a very predictable pattern of telecast of a channel which will then become mundane or boring. 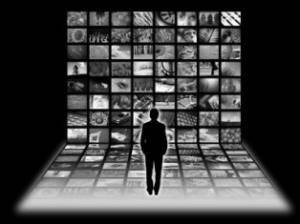 “What is more important is to program based on viewer insights (i.e. what are the hot buttons which makes content work) rather than purely based on shows. However, some popular content will always be required on the schedule so that there is some familiar hook on the channel for the viewer”, he added. Vaz states that this sentiment may be true; however the rationale behind this is simple. “Since these ‘cult favourites’ are hugely popular globally, they are bought at premium pricing with an unsaid assurance that it would work. Also, following the first buy, such shows / content is built ahead on the principal of ‘life of a series’ that the concepts of these shows promise. Hence the idea, I believe is to manage interesting first-buy and build and retain it going ahead”. In a nut shell, we learn that while channels in the English GEC space make efforts to carve a niche for themselves with sub-genres like drama, action, comedy etc; the bottom line remains that irrespective of the channel, ultimately content shall remain the king! This Holi, celebrate with some of the most colourful characters on Television! The World Television Premiere of Alone on 12th March at 8 PM on &pictures!